An inspiring story of family, ambition and sport against all odds from the woman who single-handedly revolutionised British tennis. As mother to tennis World #1 champions Jamie and Andy Murray, Scottish National Coach, coach of the women’s Fed Cup, and general all-round can-do woman of wonder, Judy Murray is the ultimate role model for believing in yourself and reaching out to ambition. As a parent, coach, leader, she is an inspiration who has revolutionised British tennis. 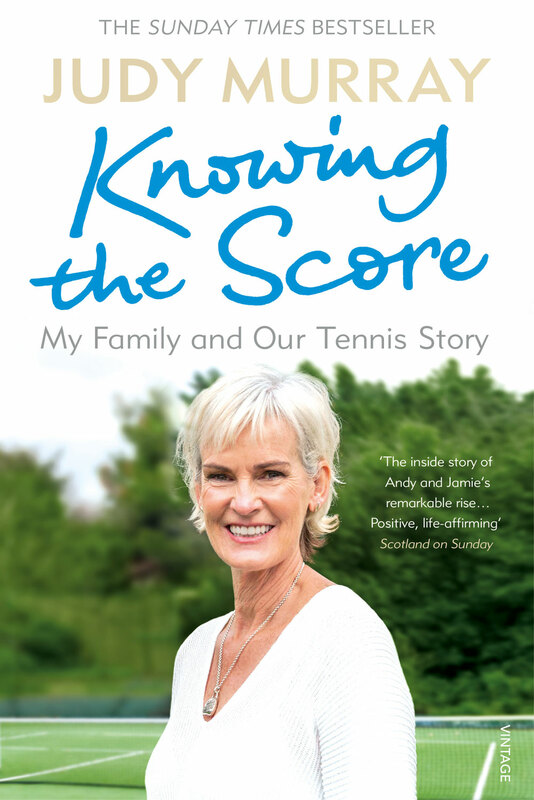 From the soggy community courts of Dunblane to the white heat of Centre Court at Wimbledon, Judy Murray’s extraordinary memoir charts the challenges she has faced, from desperate finances and growing pains to entrenched sexism. Judy has recently pioneered initiatives Miss-Hits and She Rallies to grow the profile and numbers in women’s tennis. As if that wasn’t enough, in 2014 Judy proved her mettle off the tennis court when she strutted her stuff on Strictly Come Dancing with her dancing partner Anton du Beke. Judy Murray is a former Scottish international tennis player with 64 national titles to her name. She became Scottish National Coach in 1995, the same year that she became the first woman to pass the Lawn Tennis Association’s Performance Coach Award. She initiated the Scottish Development School programme which ultimately produced four Davis Cup players and one Fed Cup player, including her Grand-Slam-winning sons, Jamie and Andy. In 2011 Judy was appointed Captain of the British Fed Cup Team and used this role to grow the profile and numbers in women’s tennis across players and coaches. Judy has developed several tennis initiatives including Miss-Hits, a starter programme for girls age 5 to 8, Tennis on the Road, which takes tennis into remote and deprived parts of Scotland, and, most recently, She Rallies, a programme with the LTA, to encourage more women and girls into tennis across the UK. Judy Murray is available for interview.